Created by Peter Coppin, Alexi Morrissey, Martin C. Martin, Michael Parris, and Jessee Eusades, under the group alias "Centre for Metahuman Exploration." 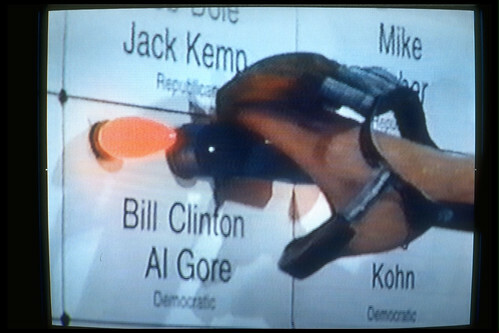 Broadcast on Adelphia Cable Public Access TV during the 1996 United States presidential election. 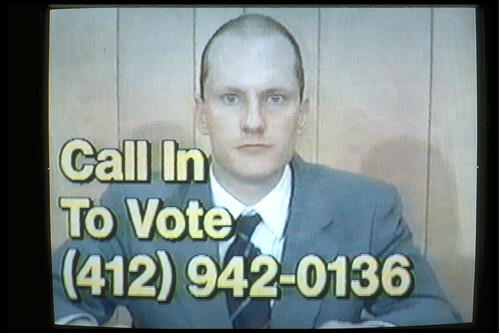 This phone-in show presented TV watchers with a game show-sized voting ballot that presented national and local candidates. 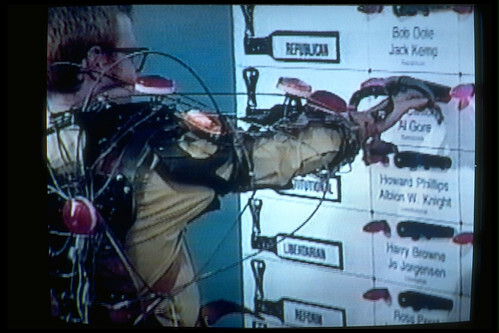 In front of the ballot was a robotically augmented American voter who could be controlled by TV-watchers via their touch-tone telephones. 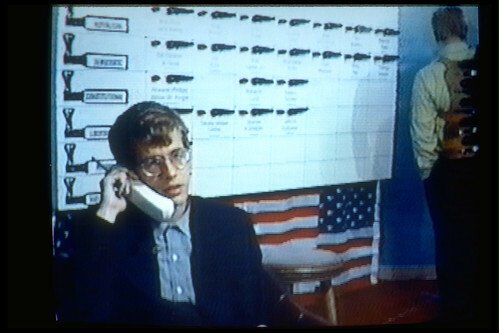 In this way TV watchers could participate in the voting process through the remote control of an American Voter. 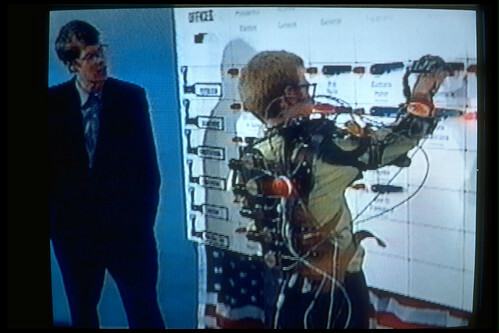 Viewers saw the effects of their control on a real voter for the purposes of casting a ballot in an election where they had no visible effect.